Invigoratingly chaotic cities, sleepy villages clinging to lush mountaintops, and strikingly diverse landscapes all await in this captivating country. 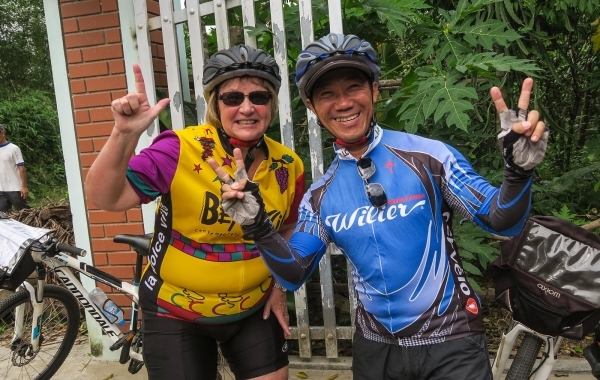 There’s no better way to experience it than on VBT’s cycling tours in Vietnam. The vibrant city of Hanoi is a rush of motorbikes, offset by quiet tree-lined boulevards with a distinctly French flair in the city’s Old Quarter. The stunning juxtaposition of soaring skyscrapers, bustling streets, and incense-scented temples set down quiet, winding alleys in Ho Chi Minh City (formerly known as Saigon) will take your breath away. 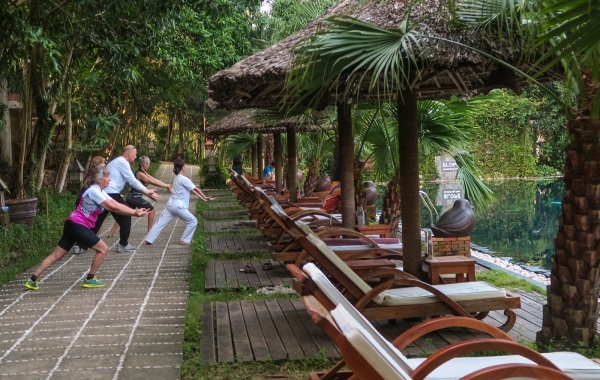 Vietnam’s dynasties of old whisper amid the splendor of Hue’s ancient Imperial City and the remarkably preserved lanes of Hoi An’s Old Town, a UNESCO World Heritage Site. Vietnam’s countryside is a patchwork of green hills, azure seas, rice paddies, and sugarcane fields. From lush mountainsides to towering limestone karsts rising from coastal waters, the rural reaches of this beautiful land are the perfect setting for a cycling tour in Vietnam. Cultural and culinary delights abound here as well. Bowls of steaming hot pho, crusty baguettes and other tasty relics of colonial times, and endless street food options ensure your taste buds are never bored here. From the the colorful offerings of an open-air market, to the intricacies of a traditional water puppet show and the somber reminders of conflicts past at former military sights, there’s so much to discover on a cycling tour in Vietnam. Embark on a cruise on the Perfume River, with views of dragon boats, sampans and traditional houseboats. 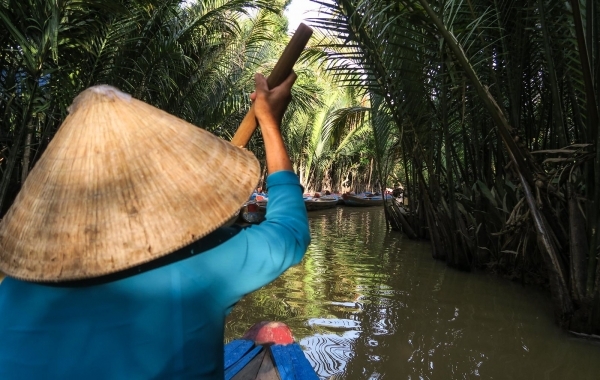 Delve into the orchards and rice paddies of the agrarian heartland of Vietnam on a scenic roll along the Mekong Delta. 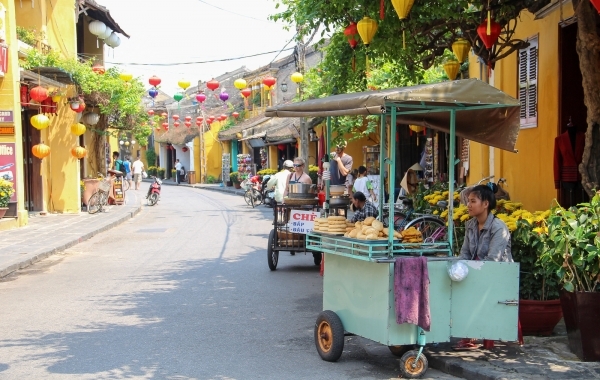 Fill your senses at Hoi An’s central market and learn about Vietnamese cuisine. Hear your footsteps echoing through the vast walled fortress of the Imperial Citadel. Vietnamese food is a delicate balance of sweet and sour, salty and spicy, hot and cold. Dishes feature abundant fresh herbs and pungent fish sauce. French colonization left its impact, most notably in the crusty baguette that forms the foundation of bánh mi. From steaming bowls of pho to crispy bánh xèo pancakes from a street cart, foodies will find endless delights in Vietnam. Evidence of the past lingers on in Vietnamese cities in the form of French Colonial Architecture. 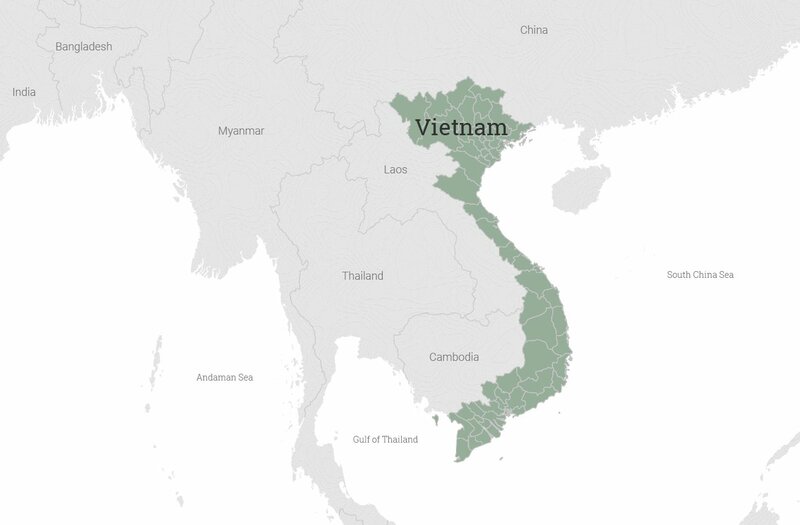 Ho Chi Minh City (formerly Saigon) was once a hub of French colonial commerce and culture. Visit buildings like the Central Post Office, which has obvious gothic influences, or Notre-Dame Cathedral Basilica of Saigon, built from bricks imported from Marseilles. 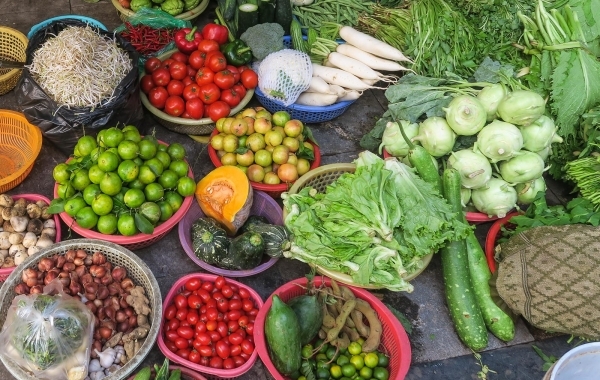 Vietnamese markets buzz with life. 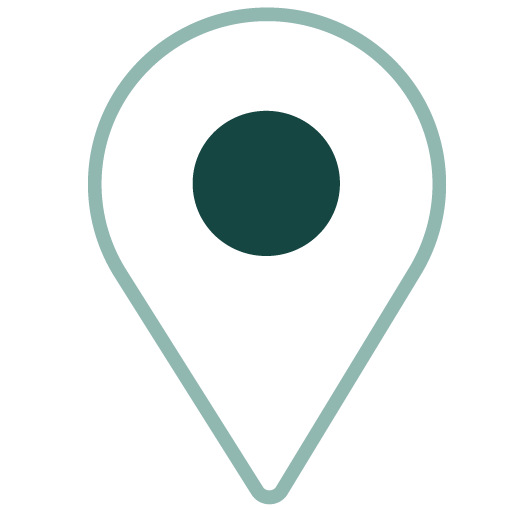 These shopping centers are often the heart of a community. Whether you’re shopping for handicrafts, looking for a snack, or simply soaking in the ambience, you haven’t truly experienced Vietnam until you’ve wandered the stalls of a market. Get up early for the best selection! 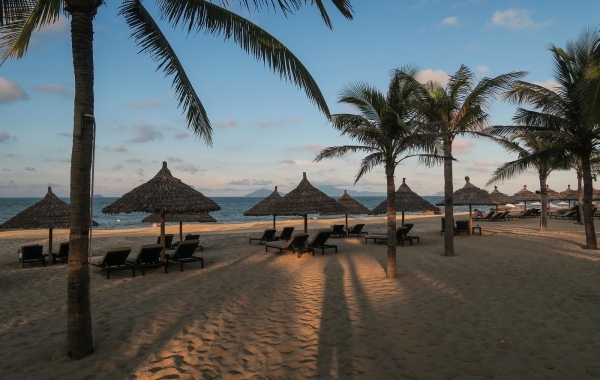 Experience Vietnam by bike! 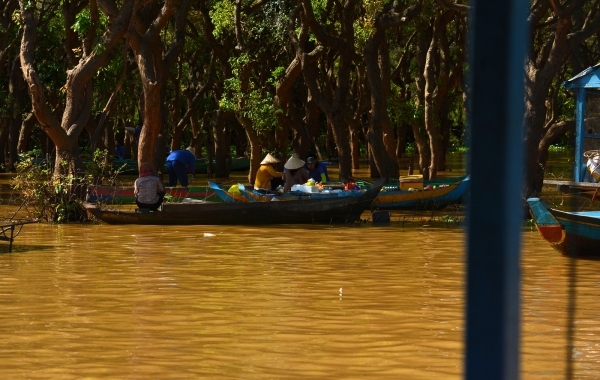 Meet the friendly Vietnamese people, taste the good food, and see our beautiful country. Zin has lead VBT adventures for almost 15 years. He was born in Hue and grew up in Ho Chi Minh City and loves to introduce travelers to the history, cuisine, and culture of his home country. 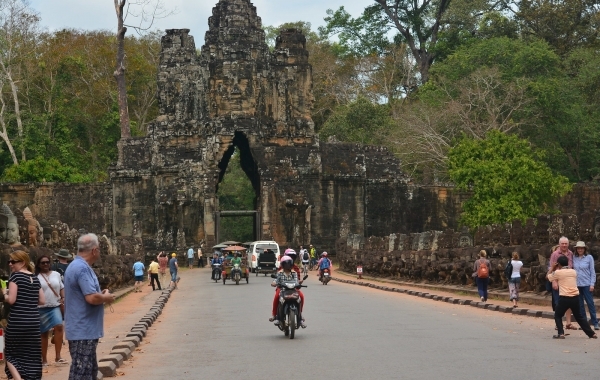 It’s great to discover Vietnam on a two-wheel trip! You’ll experience our culture, discover the scenic roads, which are very safe for riding bicycles, and meet friendly Vietnamese people. 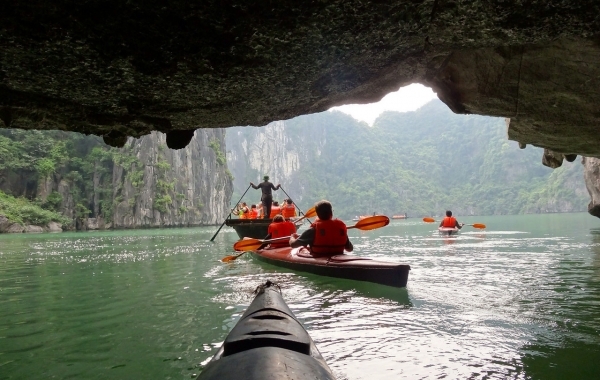 A Vietnam native, Quinn has lead VBT adventures for more than a decade. He was born and currently lives in Da Nang. 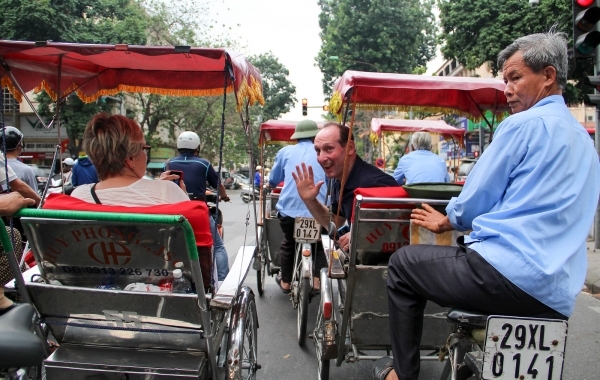 He has traveled extensively and has family connections in Hue, Hanoi, and Ho Chi Minh City. I will show you my beautiful country and its delicious food, and introduce you to Vietnam culture! Hien has worked for VBT for almost a decade. 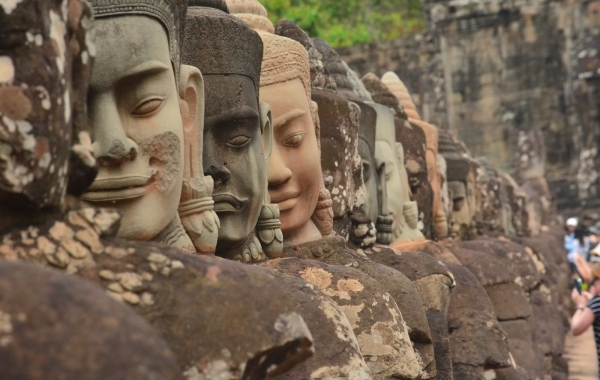 As a Vietnam native who grew up in Mekong and Ho Chi Minh City, he’s passionate about introducing travelers to the history, local life, and culture of his homeland. Biking is such a great way to visit Vietnam -- out of the city and riding through the villages, seeing the natural beauty. It's hot and humid (in the tropics, duh!) so come prepared to sweat. 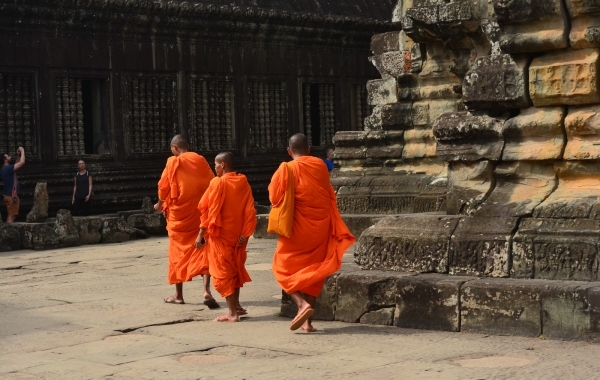 The guides are fantastic, very knowledgeable about their country, and totally on top of things.